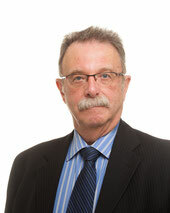 Brian Sutton has practiced law in Nanaimo since 1981. Prior to that, he spent 6 years practicing in northern British Columbia. His practice focuses on all aspects of civil litigation, criminal and estate law. Brian is a member of the Law Society of British Columbia and the Trial Lawyers Association of British Columbia. He is a past member of the Association of Trial Lawyers of America. He is also past President of the Peace River Bar Association. Civil Litigation, Personal Injury, Criminal Law and Estate Litigation. Brian coached minor hockey in Nanaimo for 14 years. He is past President of the Nanaimo FOS Non-profit Housing Society. He is the supervising lawyer for the Nanaimo Citizen’s Advocacy Association. Brian also acts as the advising lawyer to the Nanaimo Branch of the BC Schizophrenia Society. Tricia is our full time office manager and legal assistant. She has a B.A. - Joint Major in Criminology and Psychology from Simon Fraser University. In the past Tricia has worked for Citizenship and Immigration Canada and in the real estate industry. She has always been interested in the practice of law from initial intake to the completion of a file. Tricia is the mother of two young children who are actively involved in local Nanaimo sports. Tricia has been involved in the hockey community for 29 years in British Columbia, Alberta and China. Tricia will be your initial point of contact with our office and will assist you regularly as your files moves from the initial stages through to a satisfactory conclusion.